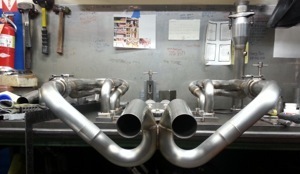 Dynoed at Porsche America these GT3 headers make 15 to 20 WHP more over the best if what Porsche Racing could come up with. 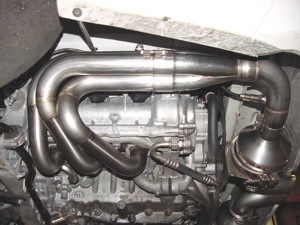 The headers incorporate many new technology advance parts. They have custom stainless steel cast flanges off the head. Because of the port shape having the correct flow off the head was crucial in getting uninterrupted flow where the gas speed is the highest. The primaries are stepped in diameter with anti-reversion chambers. They also have our newly design nozzle collectors which create a huge pressure drop to help the scavenge process. 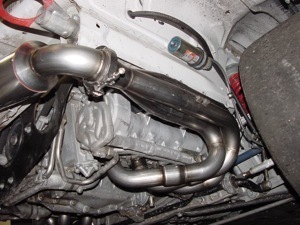 The exhaust comes with either light weight racing mufflers or straight pipes. We incorporate out x pipe deign with multi diameters to enhance gas flow. 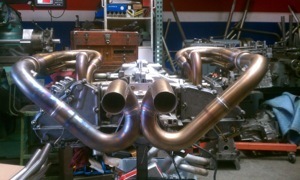 These are the best GT3 headers available. 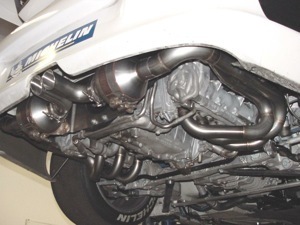 Our 911 system is track tested to give the maximum amount of acceleration. 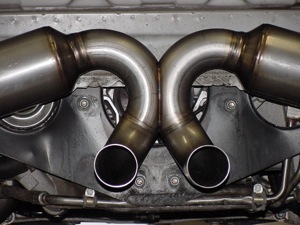 Our long primary pipes with anti-reversion chambers, multi stepped primary pipes, nozzle collectors and X pipe make these headers the best for the 911 race cars. 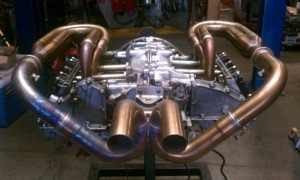 Built from light weight 304 stainless steel, back purge with Argon for maximum strength of weld. 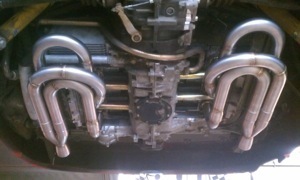 Our 911 headers are durable and powerful.